Stunning fresh, Karengo macadamia dukkah full of unique spicy flavours to tingle your taste buds. 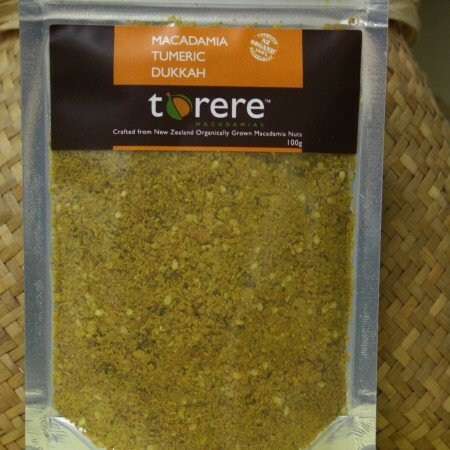 Use liberally with bread or crackers dipped in oil or sprinkle over roast vegetables, fish, chicken or meat. 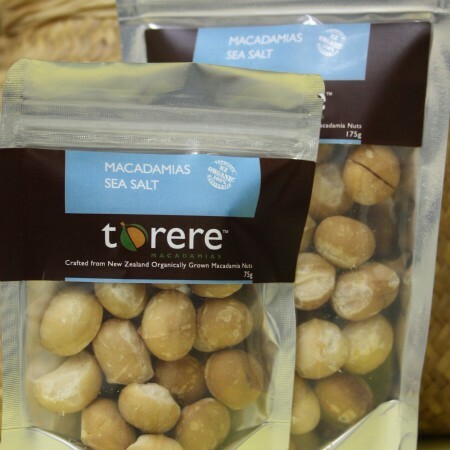 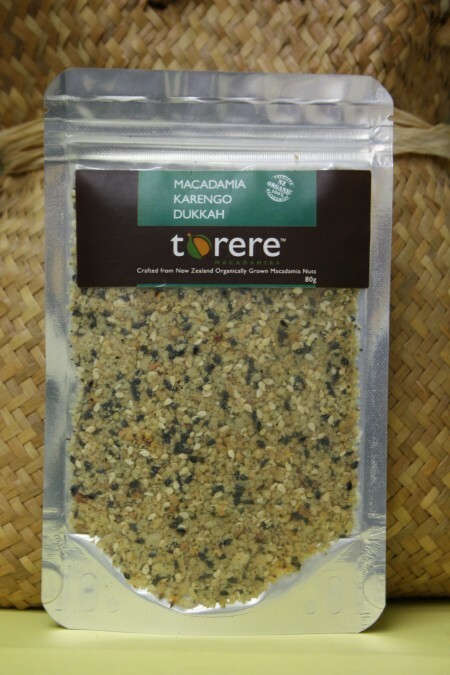 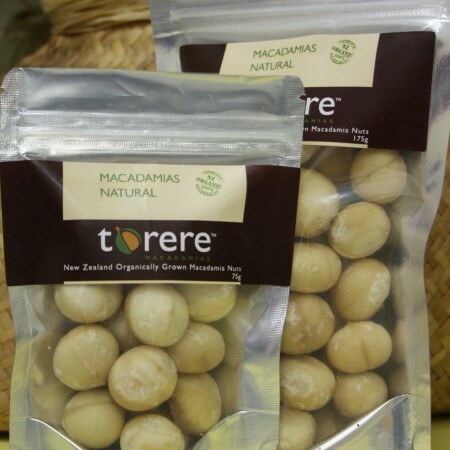 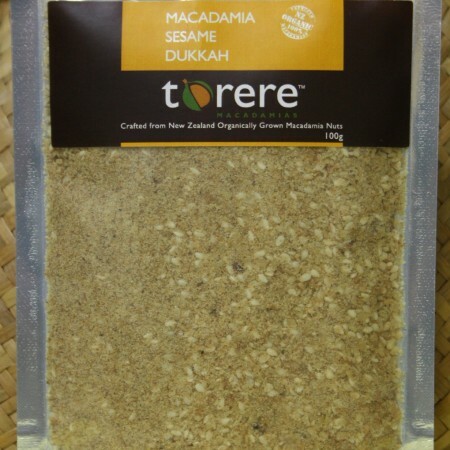 Certified Organic macadamias grown by Torere Macadamias, roasted and blended with roasted Black and white sesame seeds, dried Karengo (NZ sea weed) and Kawakawa (NZ native spice), Sea salt, Chilli Flakes and Lemon pepper.